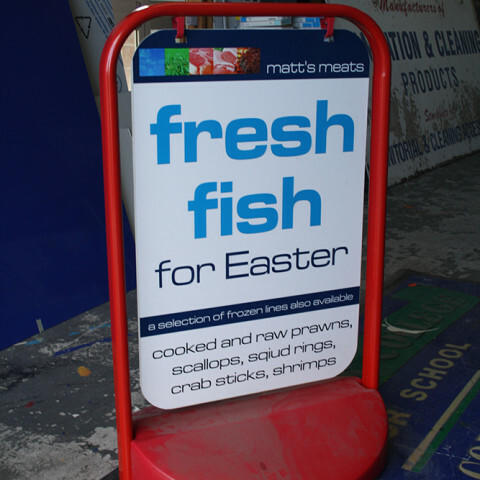 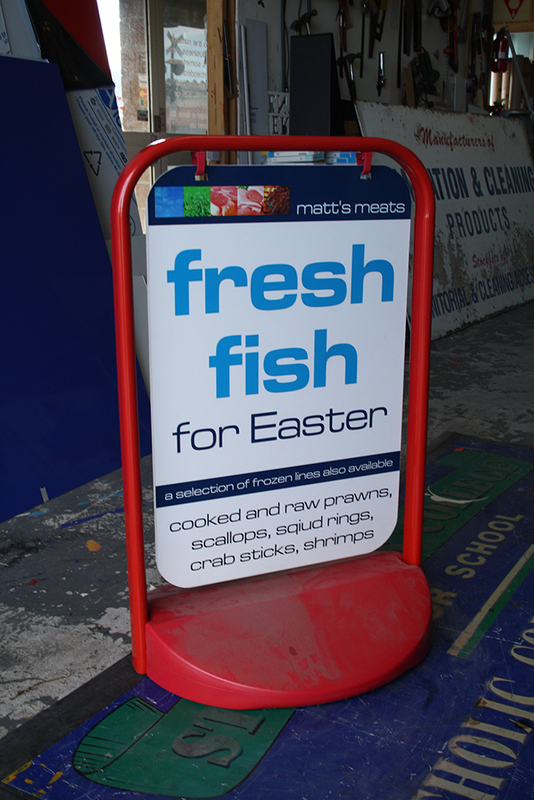 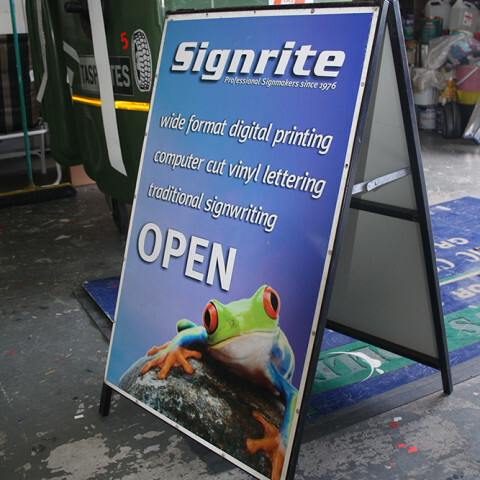 A-frames are generally used outside a business to display information to potential customers, and Signrite have a wide range of A-frames available to you. 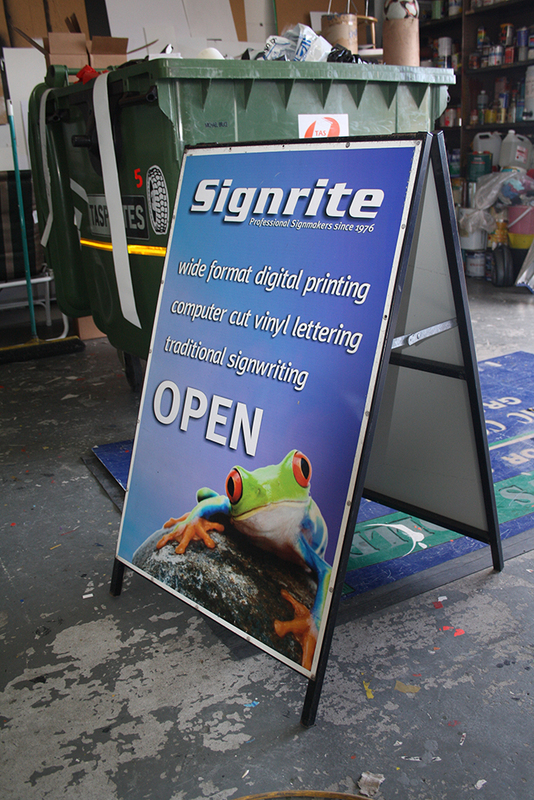 The most common is the “standard” 600 x 900mm colourbond A-frame with graphics applied to both sides, and fold-up for easy storage. 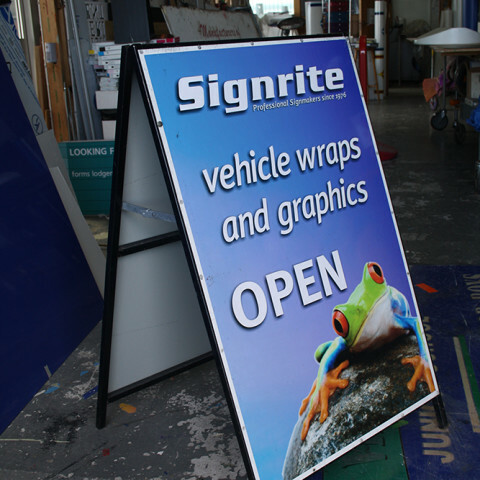 If your business needs to change artwork regularly Signrite also offer an a-frame design with corflute inserts, making it easy to change the artwork when required. 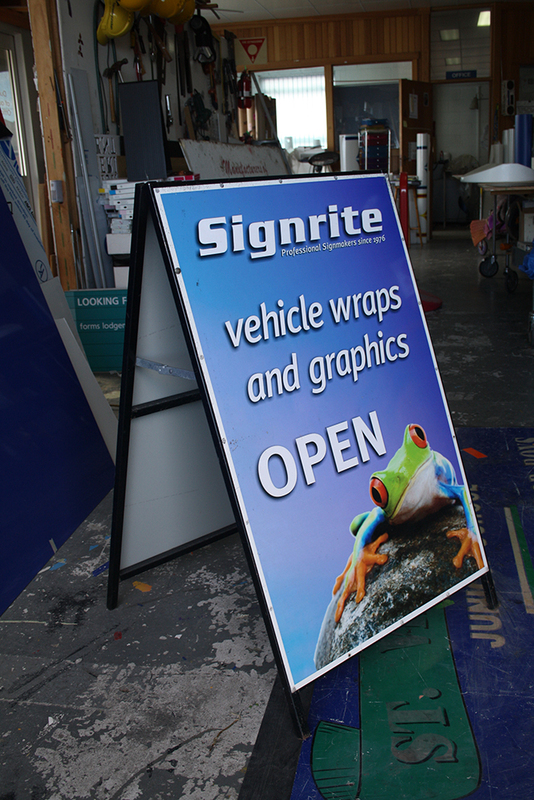 The base of the a-frame has a flat panel that looks great with your business logo on both sides and can be painted any colour required.